When Satan with his wiles managed to deceive Eve, and in turn Adam to disobedience, sin entered into their nature. This sin came between them and God like a veil, separating them from the source of life. Spiritually speaking, they were dead in their trespasses and sins. (Ephesians 2:1) Sin had entered the world, which was cursed, and all living creatures also had to die a physical death. The sin that entered Adam and Eve’s nature was passed on to all their descendants. This “sin in the fleshSin is anything that goes against God’s will and His laws. To commit sin is to transgress or disobey these laws. The lust to sin dwells in human nature. In other words, it is contaminated and motivated by the sinful tendencies that dwell in all people as a result of the fall into sin and disobedience in the garden of Eden. This... More” is not guilt for committed sins, but a strong inclination to do our own will rather than God’s. If we follow this inclination, for example when we are tempted, we commit sinTo commit sin is to consciously do something that you know goes against God’s will and His laws. It is when you are tempted by the lusts and desires that dwell in you and you consciously agree to act on that temptation, knowing full well that it is displeasing to God. This “act on” can occur in word, deed, or... More. To help His people stay on the right path, God gave them laws that spelled out His will for them. Unfortunately, people were incredibly weak and not one person ever managed to keep pure from sin. In fact, even the best of them usually sinned daily in thought, word and deed. In other words, all people were guilty, and Satan could use this as a letter of accusation against them, demanding that they should die. (Romans 5:12) In the temple, the symbolic house of God on earth, a large, thick veil hung in front of the Holiest of Holies, symbolizing the sin in the fleshSin is anything that goes against God’s will and His laws. To commit sin is to transgress or disobey these laws. The lust to sin dwells in human nature. In other words, it is contaminated and motivated by the sinful tendencies that dwell in all people as a result of the fall into sin and disobedience in the garden of Eden. This... More that separated people from God. Anyone passing that veil would die instantly, as no sin could stand in the presence of God. When Jesus spoke out against sin and against the hypocrisy of the religious leaders of the time, He spoke with authority and conviction. But because the death over sin was taking place in His inner manThe outer man is our physical body while we are here on the earth. Our inner man is our everlasting spirit and soul. (Romans 7:22; 2 Corinthians 4:16; Ephesians 3:16; Matthew 10:28)... More, hidden from people’s sight, He was misunderstood by nearly all His contemporaries. So much so, that in the end, He was arrested and crucified. The pure, righteous, blameless Man died as a criminal, punished for sins He had never committed. Why? Being blameless, the only human being in all history who was completely pure and without sin, Jesus was the only one who could “stand in the gap,” the only one on whom Satan had no claim. He was the only one who had not deserved death, either physical or spiritual. But, fulfilling the purpose for which He had come to earth, Jesus voluntarily offered Himself. He was crucified as the ultimate, blameless sacrifice. He died as the Lamb of God, the atonement for all mankind. He bore the punishment of all our sins, and died, the just for the unjust. (Romans 5:10; 2 Corinthians 5:21; 1 Peter 3:18) Not only did He die a physical death, but He even experienced separation from God while He was hanging on the crossJesus was physically crucified on the cross at Calvary. Though blameless, He took upon Himself the punishment for sin, which was death, so He could pay our debts and forgive us our sin if we are willing to believe in Him and follow Him the Apostle Paul wrote: “I have been crucified with Christ…” (Galatians 2:20) This is a metaphorical... More. (Matthew 27:46; Mark 15:34) Through this sacrifice, all those who believe in Him are able to obtain forgiveness. When Jesus died on the cross, He cried out, “It is finished!” At that moment, every last shred of the sin He had inherited in His human nature had been crucified, and His work on earth was finished. When Jesus died, the heavy veil in the temple was torn from top to bottom. The debt had been paid; the way back to the Father was open. So how was Jesus’ crucifixion and sacrifice different from the sacrifice and forgiveness in the Old Covenant? 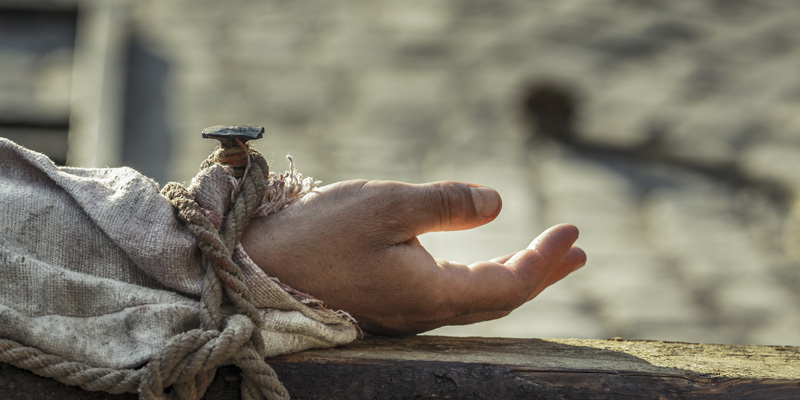 How does Jesus’ death on the cross take away the sin in our flesh? Why are we still tempted? This is because forgiveness alone was not the ultimate goal of Jesus’ life, nor is it the ultimate goal of a Christian. In fact, forgiveness is only the beginning. Jesus Himself indicated this very clearly: “If anyone desires to come after Me, let him deny himself, and take up his cross daily, and follow Me.” Luke 9:23. 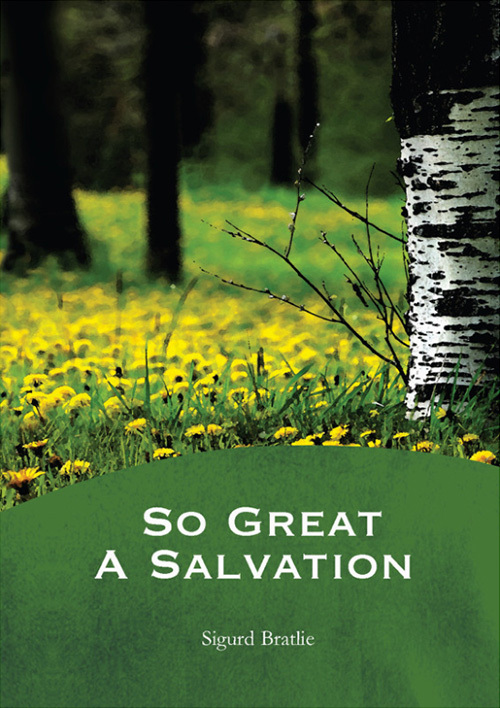 Jesus’ purpose was not only to be the atoning sacrifice for people’s sins. He wanted disciples, those who follow Him. We can’t follow Him to the death on the cross on Calvary, but we can take up our cross daily! Jesus’ death on the cross of Calvary was the culmination of His incredible work of love for us people. By His death He reconciled those who believe in Him with God, and through His life He opened a way back to the Father for those who follow Him. Through death over sin, Jesus conquered death. (Hebrews 2:14-15) By His life He gave us life. May His sacrifice not be in vain – may He have many disciples, whom He is not ashamed to call His brothers! For further reading, explore our key teachings page “The message of the cross,” our topic page “The cross,” or click some of the recommended articles below.